A software developer John Brooks released what is clearly a work of pure love: the first update to an operating system for the Apple II computer family since 1993. 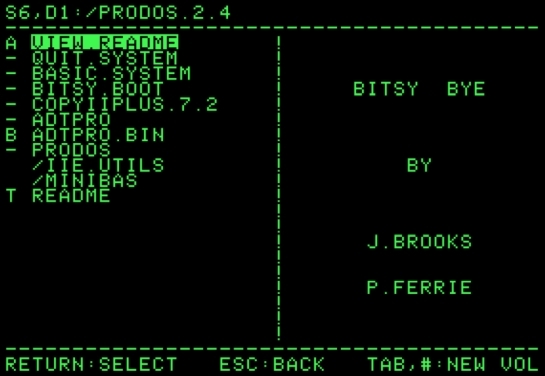 ProDOS 2.4, released on the 30th anniversary of the introduction of the Apple II GS, brings the enhanced operating system to even older Apple II systems, including the original Apple ][ and ][+. Note: ProDOS 2.4 is now updated to ProDOS 2.4.1. 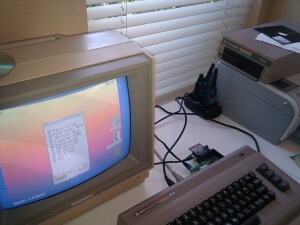 ProDOS 2.4 adds new features for all Apple II computers, including the 1977 Integer ROM Apple II. The last release, version 2.0.3, was released in 1993 by Apple computer, 23 years previously. Prince of Persia Source Code – Found! My Dad (yep, the same guy who composed the music for the original Karateka and Prince of Persia) called from New York to tell me he was doing some spring cleaning and had shipped me a carton of old games and other stuff of mine he’d found in the back of a closet. The carton arrived yesterday. My jaw dropped when I saw what was inside. No, I don’t mean the stacks of Spanish Drosoft versions of POP and Karateka (though those are cool too, especially if you have an Amstrad computer with a cassette player). I mean those three little plastic 3.5″ disk boxes nestled among them… which appear to contain the ORIGINAL APPLE II SOURCE CODE OF PRINCE OF PERSIA that I’ve been searching for, off and on, for the past ten years, pestering everyone from Doug Carlston to Danny Gorlin and everyone who ever worked at Broderbund, and finally gave up hope of ever finding. A complete changelog is included in the zip file. 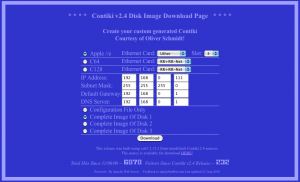 Contiki is a small, open source, highly portable, multitasking computer operating system developed for use on a number of memory-constrained networked systems ranging from 8-bit computers to embedded systems on microcontrollers, including sensor network motes. The name Contiki comes from Thor Heyerdahl’s famous Kon-Tiki raft. The Contiki 2.x contains only very little assembler coding and even less target-specific assembler coding. This allowed for easy porting to targets beside the C64 namely the C128 and Apple II. Porting to other cc65 targets wasn’t done due to missing Ethernet hardware. 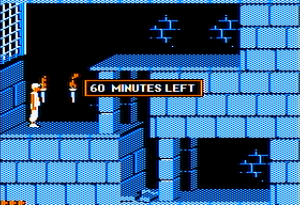 New high contrast color scheme for Contiki UI apps on the C64. Missing PETSCII conversion for the smtp credentials. Incorrect fixing of all disk I/O to drive 8.